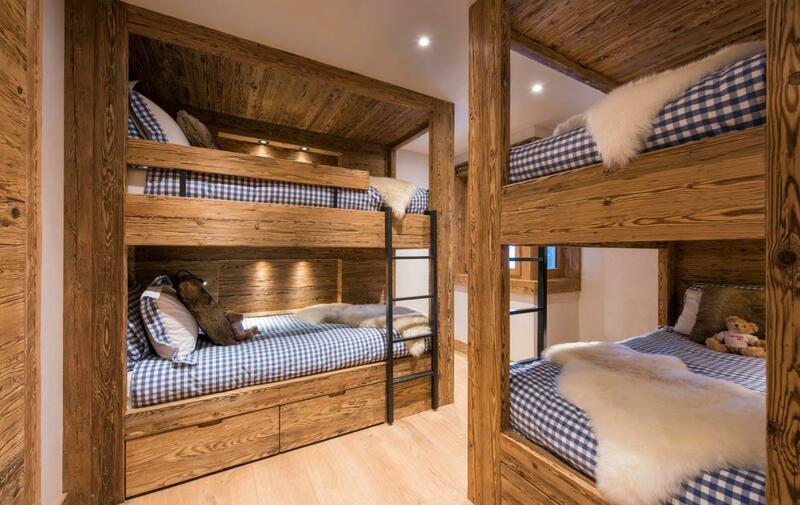 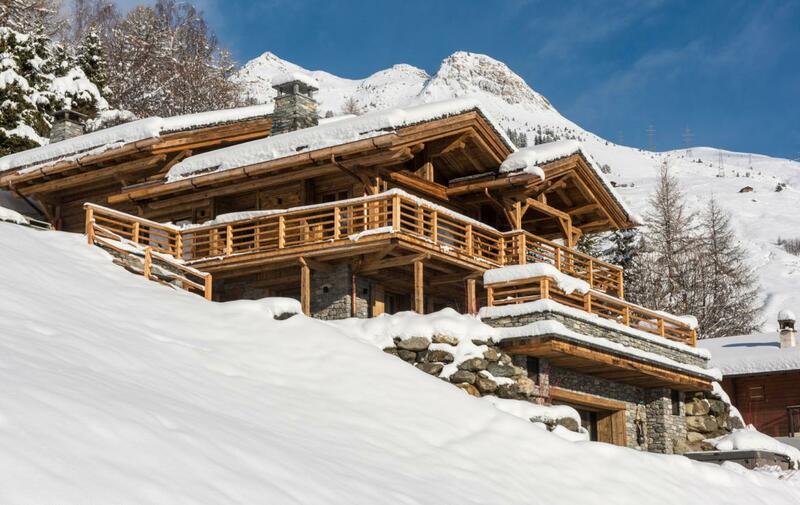 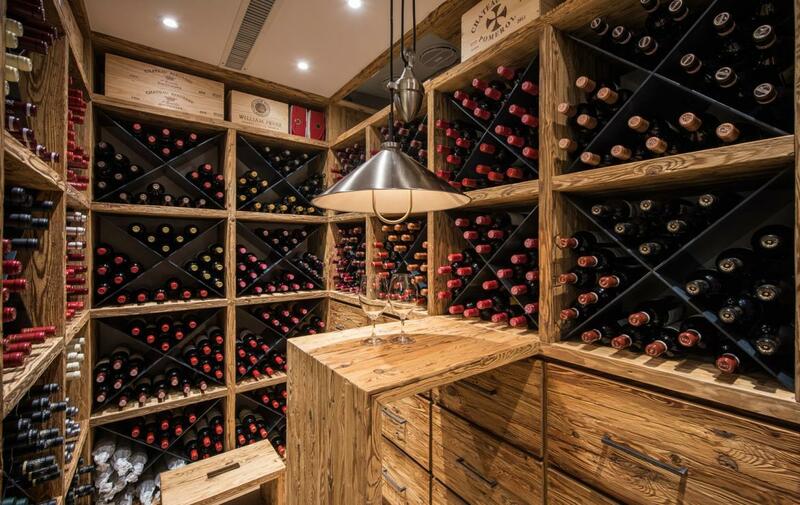 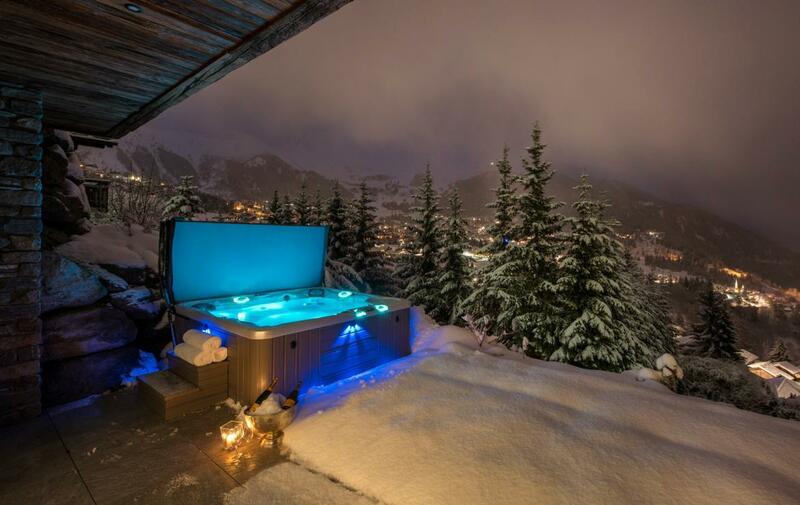 With indoor pool, hammam, gym, outdoor hot tub, wine cellar and a cinema room, this property has every facility one would expect from a luxury ski chalet in Verbier. 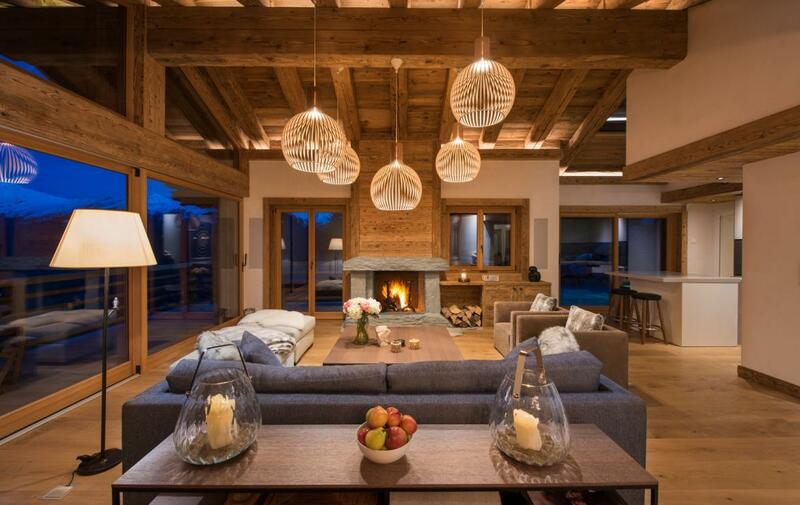 The latest design and technology has been combined with a beautiful interior and no attention to detail has been spared in creating one of the most desirable properties in Verbier. 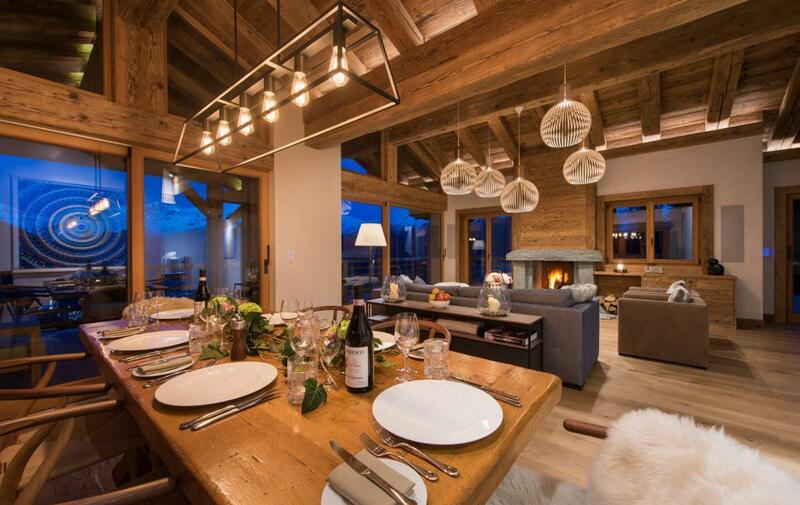 The chalet has unparalleled views of the surrounding peaks to be enjoyed from its many terraces and balconies or with a glass of champagne in the outdoor hot tub. 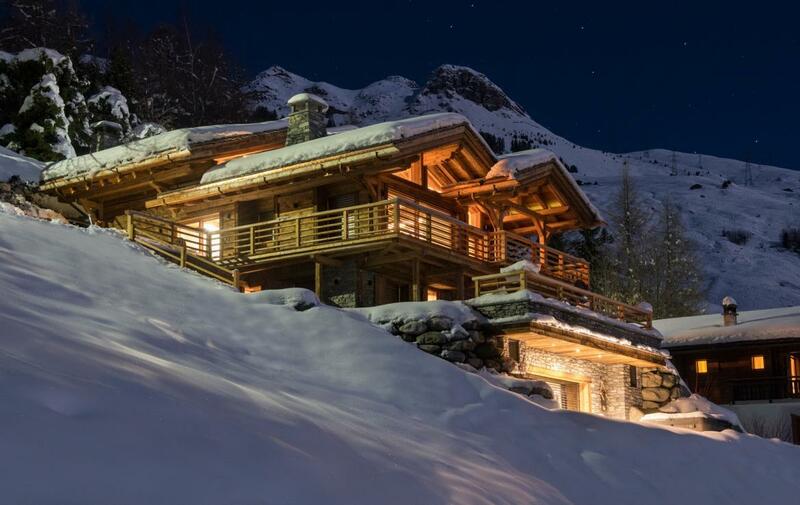 A private driveway leads you to the chalet where you enter the property at the first floor. 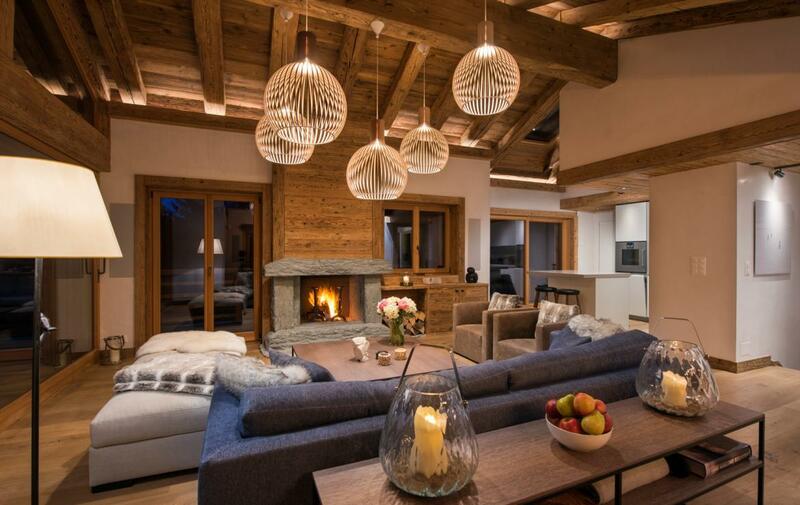 Here you will find the open plan living and dining area. 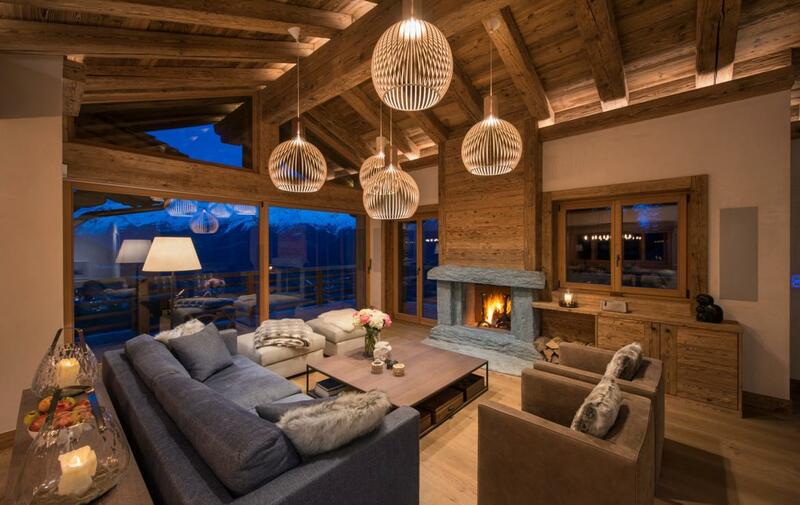 The sitting area has a wonderful open fireplace and is surrounded by large plush sofas and arm chairs. 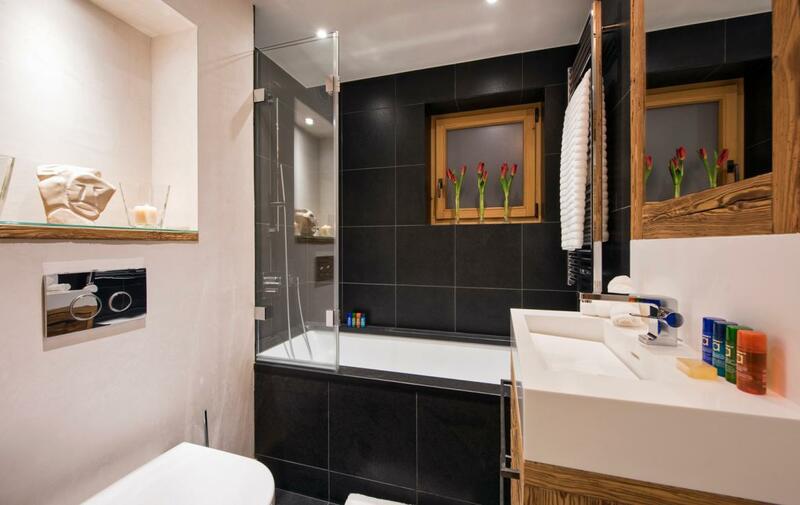 There is also a well-equipped kitchen and guest WC on this floor. 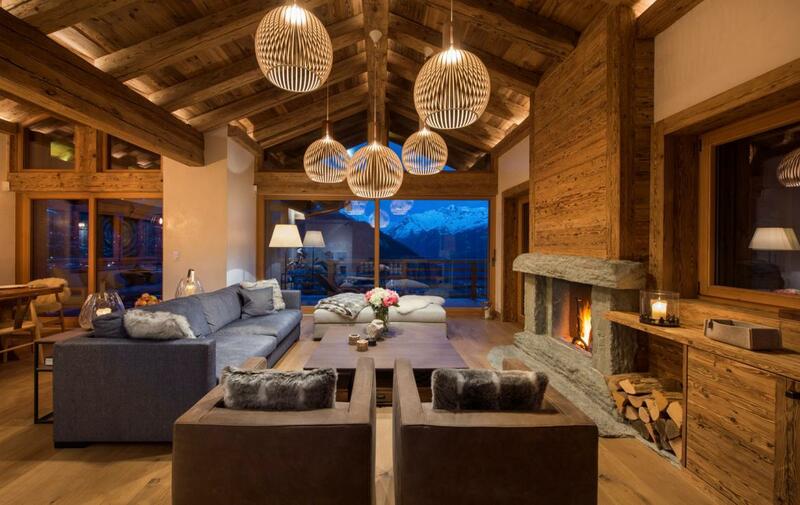 Floor to ceiling French windows open out onto the spacious terrace which is a perfect spot to have an aperitif in the warmer spring evenings. 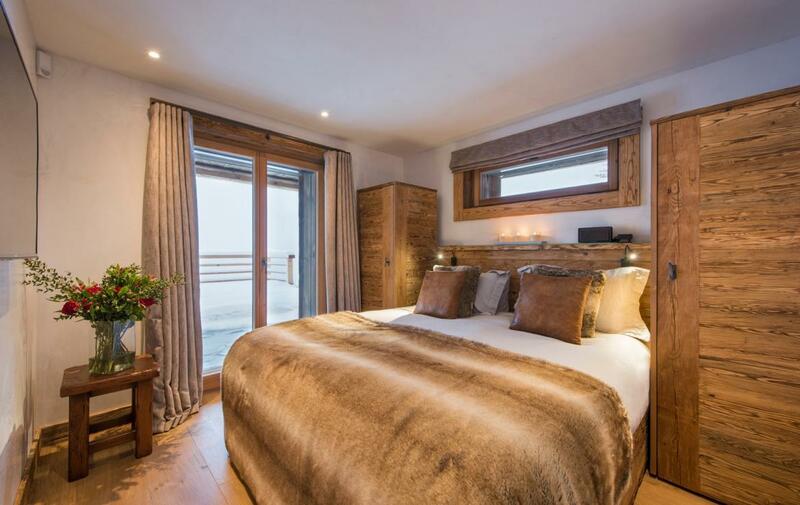 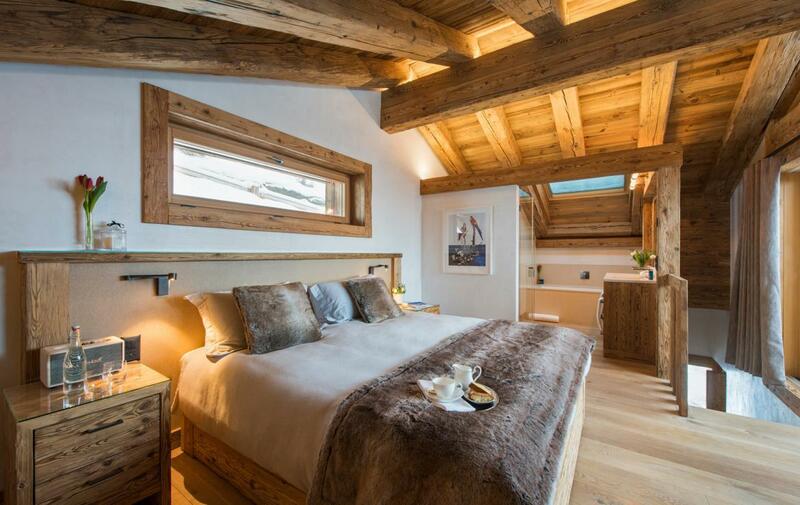 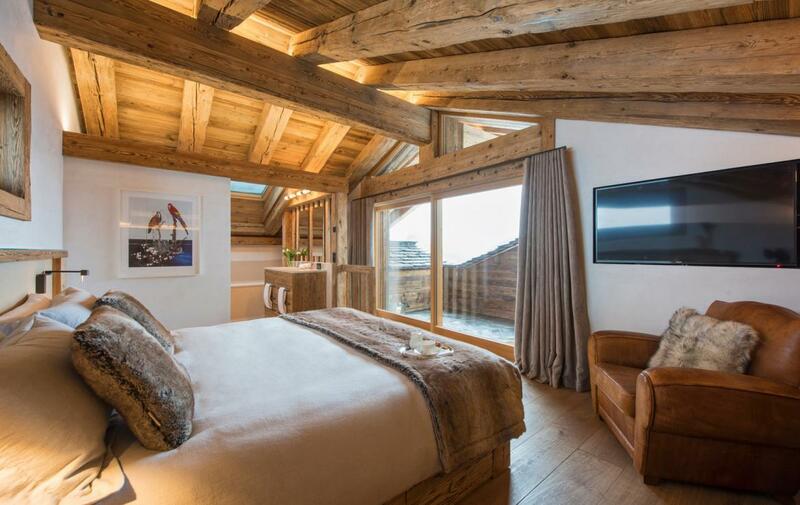 The top floor of the chalet is dedicated to the master bedroom which has its own private balcony and en-suite bathroom, a separate shower, and his and hers sinks. 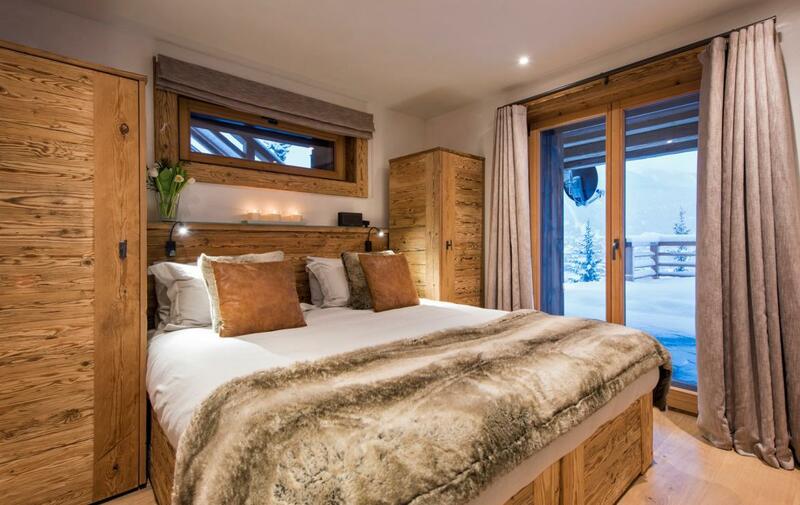 Three bedrooms are located on the next floor down as well as the winter entrance and ski room. 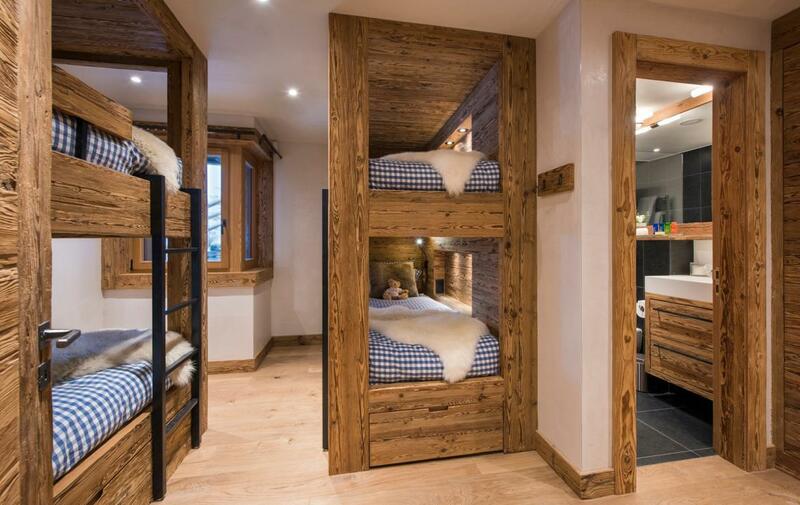 The three bedrooms consist of two en-suite twin/double bedrooms, each with access to a large terrace, and a further en-suite bunk room with four adult-sized single beds. 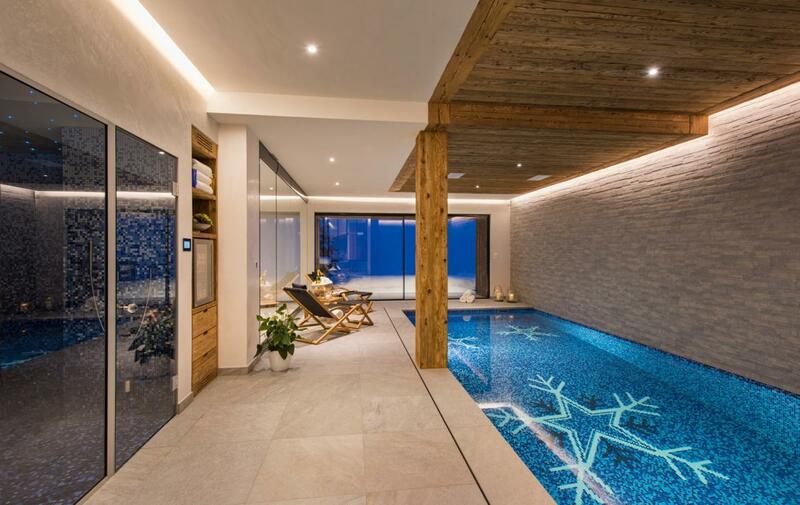 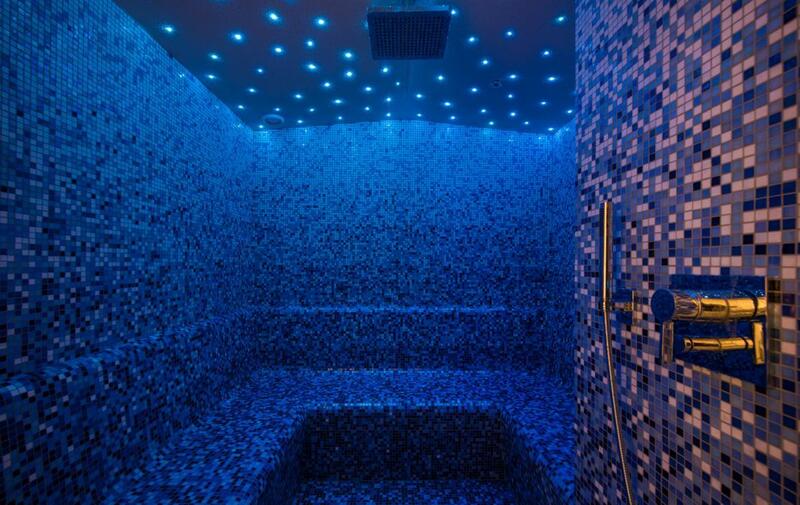 The ground floor houses the impressive private spa with pool, wine cellar, cinema room, gym, and hammam. 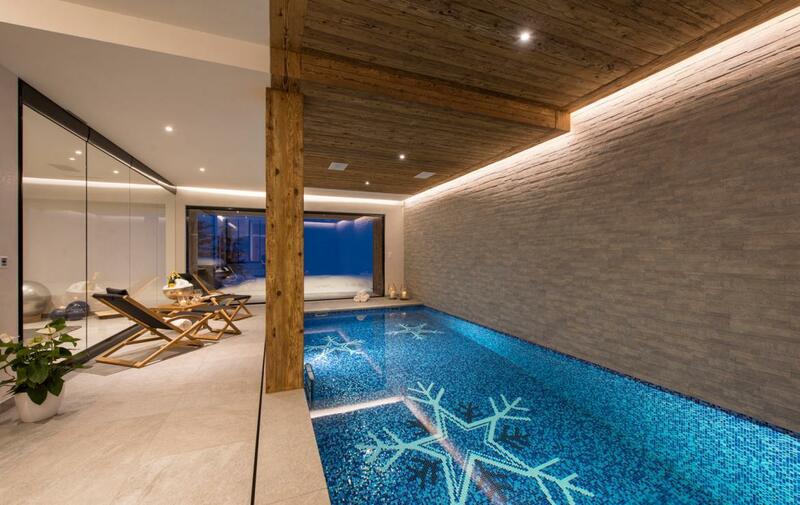 The spa has huge glass windows so you can take in the latest snow conditions during your morning swim. 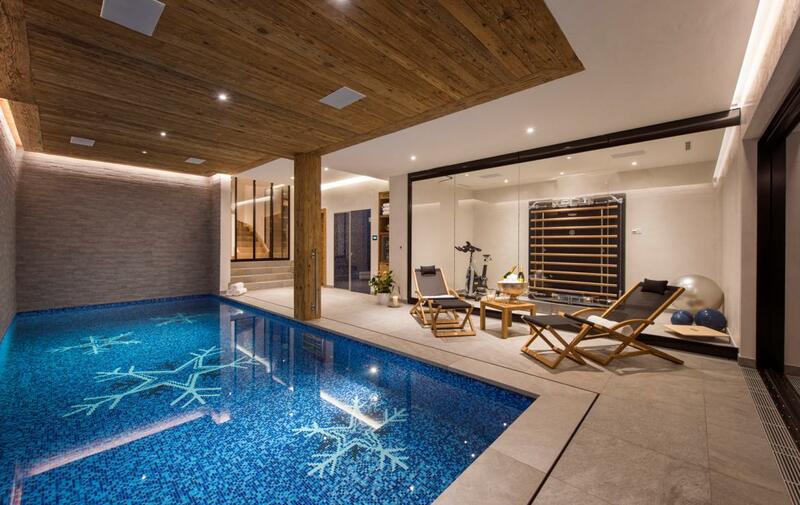 These doors open onto the terrace where the outdoor hot tub is located. 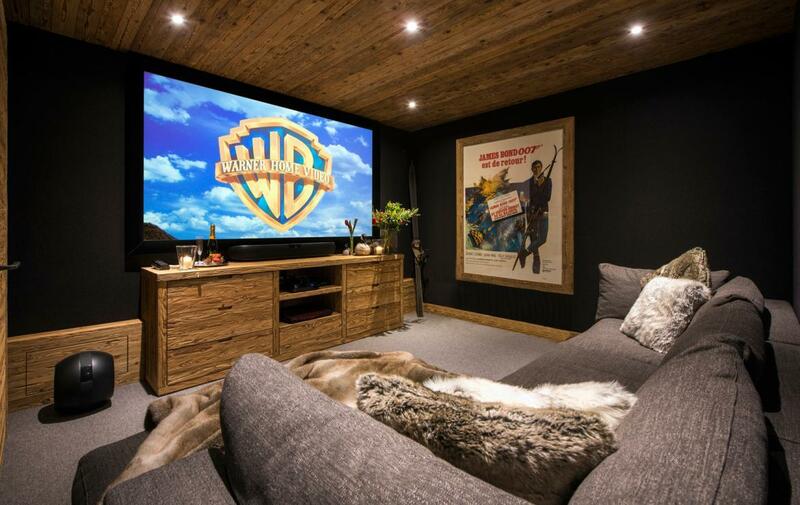 The chalet is fully wired for sound and vision with a Bowers & Wilkins integrated sound and cinema system as well as Epson projector.